The Office of Personnel Management on Wednesday issued guidance instructing agencies to roll back any already implemented provisions of President Trump’s controversial workforce executive orders that are in violation of a recent court decision that found the meat of the orders to be unlawful. 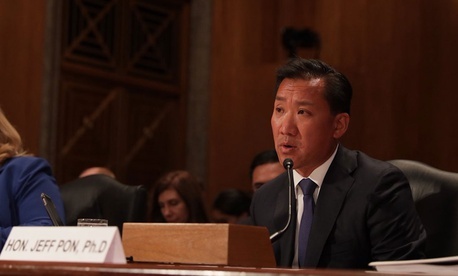 In a memo to agencies, OPM Director Jeff Pon indicated his agency would “fully comply” with a court order issued by U.S. District Court Judge Ketanji Brown Jackson over the weekend invalidating key pieces of three executive orders aimed at making it easier to fire federal workers and reducing the influence of unions at federal agencies. In her ruling, Jackson wrote that the orders effectively “eviscerate the right to bargain collectively” at federal agencies, in violation of the 1978 Civil Service Reform Act, which describes collective bargaining as “in the public interest.” Jackson said that the orders, which in part set arbitrary limits on the length of collective bargaining, the scope and amount of official time for employees and removed adverse personnel actions from grievance procedures, essentially instructed agencies to bargain in bad faith. In light of the decision, Pon rescinded the portions of guidance he issued in July on how agencies should implement the executive orders that corresponded with provisions enjoined by the court ruling. Pon wrote that OPM will collaborate with the Justice Department to “evaluate next steps” in the court case. In a statement Wednesday, American Federation of Government Employees National President J. David Cox said the union will continue to push to make sure agencies return their workforce policies to as they were before the executive orders were issued.